Beachorado: MTE August Challenge: PUNS! This is my second post of the day...for my Paper Made Bakery Sneak Peek, scroll down! My Thoughts Exactly is having a challenge right now! The topic? Create a project using puns. The challenge ends August 26th. There are prizes! Want to enter? Click HERE. Those fish are absolutely adorable, and I love this CAS layout - classy & classic! Well you know me, I love a good pun and this is seriously punny!!! Punny and CAS-tastic! This is SOOO cute! The fist are adorable! aww this is too cute...Love those DP you used and those little fish are adorable..
Ha! Very punny, Wida! Love those fishies! Super duper CUTE!!! 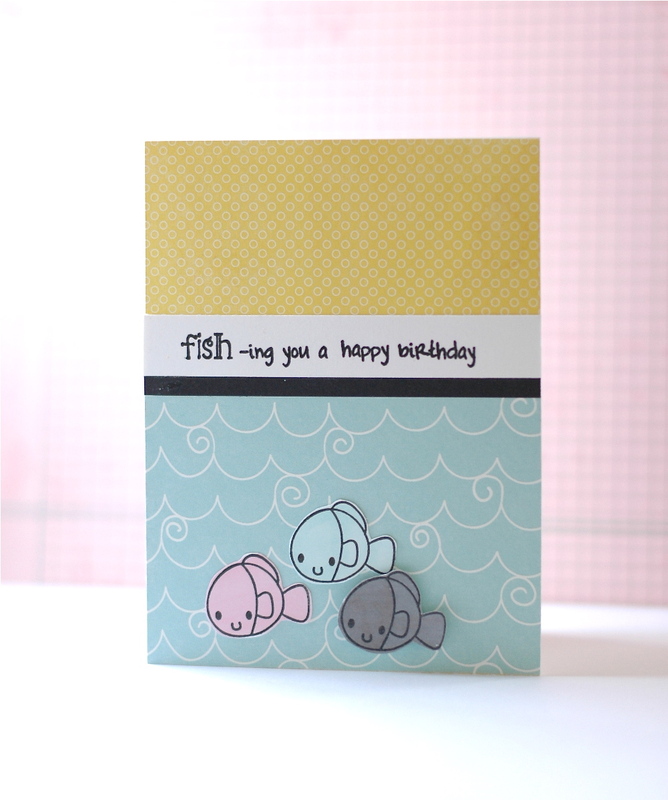 I Love the layout and those adorable fish!! !